Below you can view all the homes for sale in the Highgate subdivision located in Matthews North Carolina. 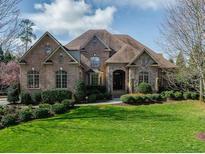 Listings in Highgate are updated daily from data we receive from the Charlotte multiple listing service. To learn more about any of these homes or to receive custom notifications when a new property is listed for sale in Highgate, give us a call at 704-705-8881. Close proximity to several private country clubs and only minutes to shops and restaurants at Waverly and Blakeney! Quick access to 485. MLS#3483234. Keller Williams Ballantyne Area. The 2nd floor includes 3 more Bedrooms, Gym & Theater Room. MLS#3464133. Keller Williams South Park.